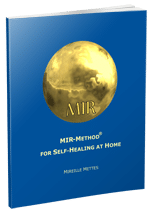 Cold Feet & How the MIR-Method Helps You Get Rid of Them. ← 87. Are You a Bridge Builder? 10 Characteristics! When I complained to my family physician, ten years ago, about my cold hands, he immediately said that I had Raynoud’s syndrome and that I would have to learn to live with it. I was shocked and looked up what he meant when I got home. Thankfully, my symptoms have disappeared and I can enjoy both cold and warm hands and feet. A doctor’s premature diagnosis or the result of starting the MIR-Method shortly after this? This syndrome consists of cramps in your blood vessels, in which the muscles in the blood vessel walls contract. Because of the constriction in the blood vessels, warm blood can’t circulate well and your body’s extremities become cold (hands, feet and nose). People who have Raynaud’s syndrome always have cold hands and feet, which can barely be warmed up. These people use mittens and hot water bottles all day long. Can the MIR-Method do anything about this? I did the 9 MIR-Method steps twice a day for a good month – and just persevering with it, making the time for it, was good for me! The most wonderful thing is that I am no longer cold in bed – before this I always got in bed with a hot water bottle and socks – and I don’t need them anymore! Focusing while saying the steps made me aware of all the tension in my body, which helped me to relax…. Kind regards, Janny. Read Janny’s whole story about cold feet here. How does the body become cold? One of the most common reasons for cold within the body is an improperly functioning thyroid. I wrote about this before in this article, Thyroid disorder, How Can the MIR-Method Help? Another cause is simple; too much tension in the body. The body is capable of retaining old emotions in the form of muscle tension. If your muscles are tense for too long, constriction of the blood vessels develops and there is reduced blood circulation. Exercise is beneficial for this for two reasons. Exercising stimulates your circulation and by exercising your body, it loses tension and your muscles can relax again. What can the MIR-Method do about cold feet and hands? The MIR-Method helps you to let go of stubborn fears and other emotions. This happens with Step 3: Detach father. Detach mother. For example, when you have acquired or learned emotions from your father or your mother. Step 4: Clear meridians helps you to let go of fears. That happens especially with the kidney meridian that is always connected to fears. By saying ‘Clear meridians’ you also clear the kidney meridian. Step 8: Optimize chakras and aura helps to ground you. Many people who are not grounded well, but are a bit spacey or dreamy, can greatly benefit from step 8. Chakra 1 is optimized, causing you to feel more comfortable with yourself and to stand on both feet. Step 7: Fulfill basic needs is a prerequisite for step 8. People who are uncomfortable with themselves cannot optimize chakra 1, as long as they feel insecure. It’s not until the profound feeling of Security is strengthened with step 7 that chakra 1 can function optimally. Important! You always need to do all the MIR-Method steps, even though I only talk about a few of them here. As you can read, all 9 work in cooperation with each other. And how about you? Have you noticed that you suffer less from cold hands, feet or nose? Is that because of the MIR-Method? I’d love to hear about it! Please write about it below. Thank you! My wish for you is a cozy warm well-circulating body!